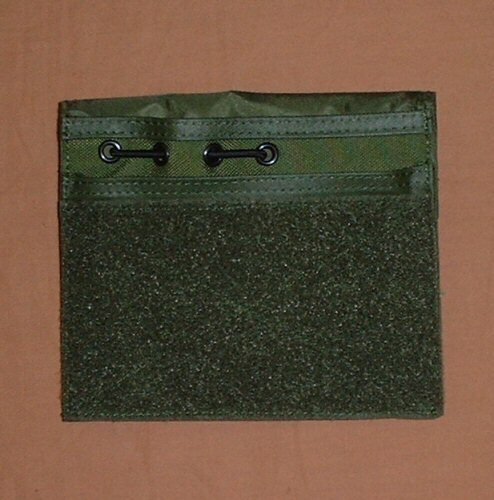 Designed for dusty and sandy environments, the Bulle Velcro Admin Pouch conceals all the items contained inside behind a large velcro flap, like an envelope. 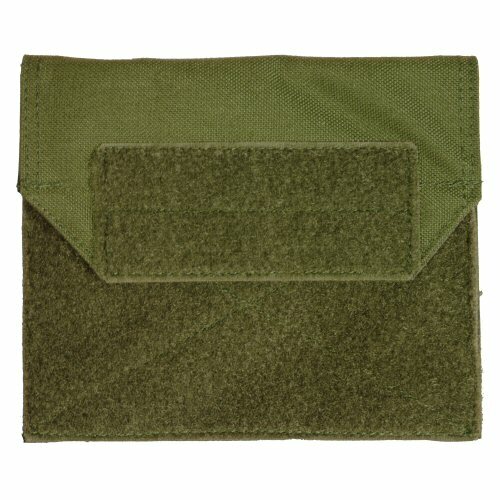 The front of the pouch has a large area of looped velcro for the attachment of name tapes, blood patches and nationality insignia. Behind the flap, the pouch has two flat pockets. The rear pocket (closest to the body) has elastic retention straps, and the middle divider has elastic shock cord threaded through a series of rivetted eyelets. These help to hold items such as mini-maglight torches, light sticks, pens and other necessities in place. The front pocket can be used to hold ID cards, plasters and other flat essentials. Pouch dimensions are 14.5x17cm. 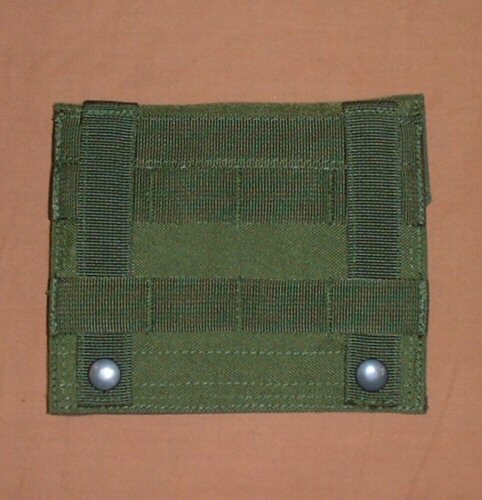 The velcro admin pouch is retained on the carrying base via two button down MOLLE webbing straps which can be interwoven between the base and the pouch for added stability and security. The pouch is made from 1000D Milspec Cordura with Cordura webbing straps, and is double stitched for durability. Please note that the price is for ONE pouch only. 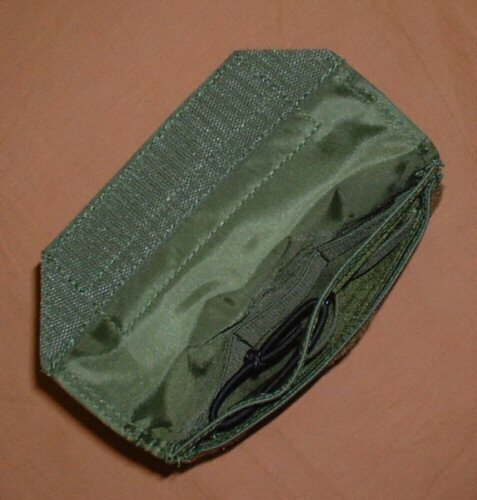 View of the admin pouch with the top flap retracted, showing the elastic shock cord through eyelets which allows tall items such as pens and torches to be held upright. Top down view of pouch showing the different straps and pockets inside for separating out and organising contents.